The Enhanced Healing Symbol Process & Tool provides a means for a person to access powerful healing energies in a manner that is simple and effective. In its fourth generation and in continual evolution, the EHS comprises a process and technique to support awakening beyond duality. Essentially, it provides an entrainment field that helps to dissolve stuckness and density. Note: The Enhanced Healing Symbol has undergone many transformations over years, and the way it is taught is completely new. The EHS–is also renamed to the Embodied Harmonics Symbol, is a tool for clearing, healing, and awakening. The EHS was originally developed as an energy-based healing tool from 2007 to 2012. The process and techniques became increasingly effective over time, and practitioners asked me to train them in it, which I did for several years. The processes operates to align the 3 centers of Head, Heart, and Gut, and that is how it is now being taught. Combining brainwave entrainment technology, insights on the 3 centers and how to bring them into alignment, I taught a program on how to use it to greatest effect with clients or for personal use. But the EHS received so many upgrades by ‘grace’, that I no longer felt able to ‘teach’ it, and am happy not to let people have their own experiences with it. Because of that and also partly due to other commitments and focus, I stopped teaching the EHS as a standalone program. If you are interested in training with me, my suggestion is to join the current True Self Alchemy programs, and email me and we can work out a mentoring/self-study program. If you are interested in the EHS activation and training materials, you can do them as a self-study program, as detailed below. The product comes with written and audio meditations. Manual on the three dantien energy centers and brainwave states. Various audio meditations to align the 3 centers, reframe issues, release stress, etc. Upon purchase, you receive a link to set up access to the EHS materials. I will activate the EHS for you shortly after (within a day of purchase), remotely. I will email when it’s been done. To purchase, use the payment button below. 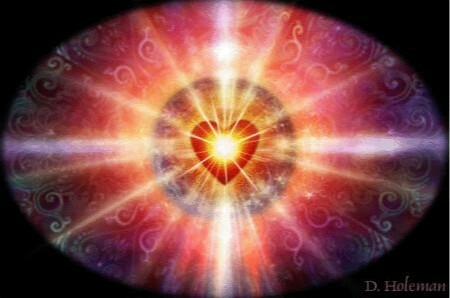 The Enhanced Healing Symbol Tool and processes support higher insight and clearing of emotions in various ways, through the many techniques taught. I used my EHS all week to quit drinking, and the shifts it gave me were startling. I went from despair, to feeling quite ‘normal’ and ready to be in life in a matter of moments. I used it on anxiety waking up at night and on cravings, and each time I felt an almost instant shift and was able to move on! Quitting is not the big struggle I thought it would be. I am now tackling what seemed like huge obstacles in my life, and it feels like only a matter of time before I get through each one of them. I find it a remarkable tool, actually. A.P, NB. I LOVE my Healing Symbol. I use it everyday whenever I want to get out of unwanted feelings, which are happening less and less. I always feel a calm come over me…a sense of “it’s all good”… and I’m able to look at things differently. I noticed that my symbol got bigger over time too—sometimes it fills my entire inner vision. Thanks Anita—I love your work! Wendy N, NB. I want to say thank you for the EHS – it is amazing. I didn’t think much of the EHS and wasn’t drawn to purchase it initially until you recommended it. So i have been playing around with the EHS non-stop since the attunement and it made my healing work easier. I chose a really easy symbol, the circle, and it changes to become a small circle and also it moves through the dimensions and stretches and sometimes it grows large and at one time it was a circle of flames when i used it to ease difficult drama with a family member. It is so easy to use on anything! I have received a lot more ease and joy – and a lot of lack energies have left me also. N. Shepheard, Sweden. The EHS is invaluable. As far as I’m concerned, everyone on the planet should have it! I can’t explain it, but it really has been a strong hold in increasing my belief…not wish or hope…but belief and faith that I’m literally creating the life I desire. There is a surety that has come over me that I’ve never experienced before… I feel through every fiber of my being if that makes sense. The anxiety and worry I had are non existent. What is so amazing is that I know I have the power to bring things about and the support from the EHS has altered so much in the little time I’ve owned it, it’s hard to believe..and with no medicines etc. I’m so grateful that you’ve provided. I don’t know of any other program (believe me I’ve tried them all over the past 13 years) that offers anything remotely close.